When thinking of ultimate or dream holiday destinations, most immediately turn to far off lands and exotic locations. 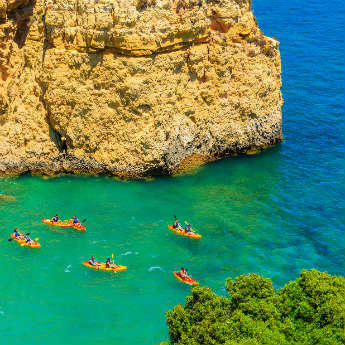 However, sometimes the desired location can be a little closer to home, such as the Algarve. Situated in the south of Portugal, this little haven caters to all types of holiday goers from the adventurous, the history buffs and families. Here are just a few reasons why we love the Algarve at icelolly.com. 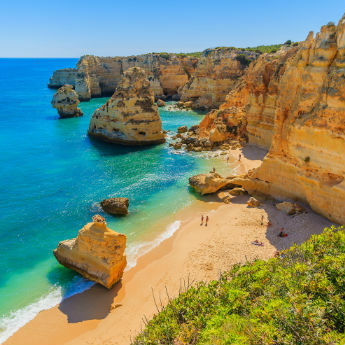 Portugal holidays are some of the best when it comes to heat, with over 300 days of sunshine a year. 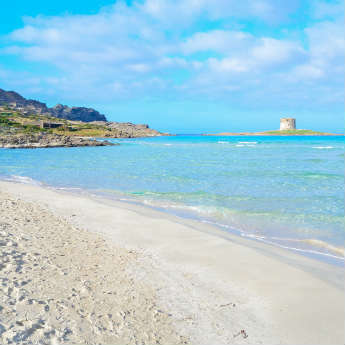 During the summer months you can expect temperatures of around 30°c and 11 hours of sun a day, and in the winter months the temperatures peak at around 22°c in October with 7 hours of sun daily. 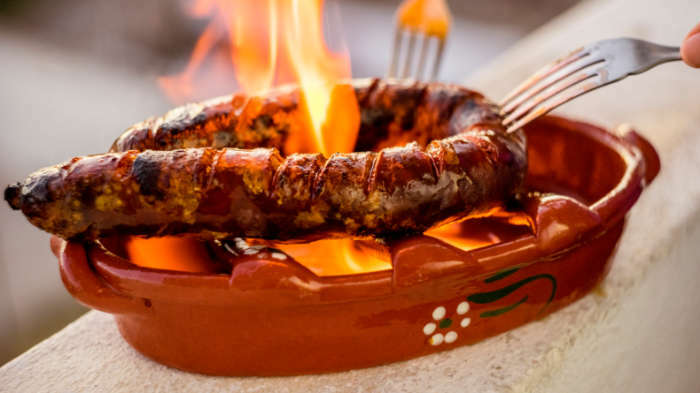 As a coastal region, you can expect lots of fresh seafood on offer in the Algarve, alongside delectable tapas dishes such as flaming chorizo. To accompany your food, the Algarve has a vast amount locally produced wines which are renowned worldwide – it would be rude not to sample them. 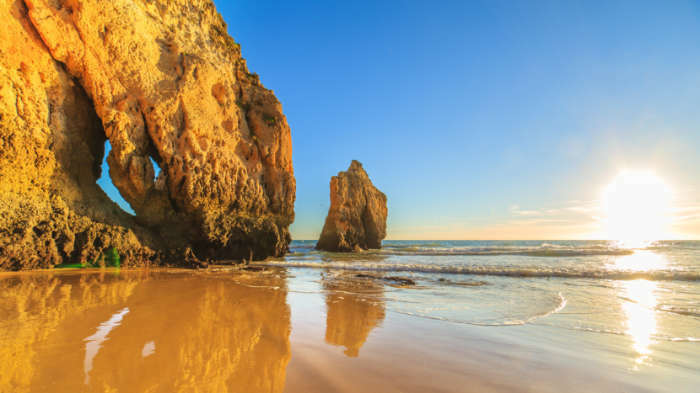 With over 100 miles of coastline and more than 150 beaches to pick from, you won’t struggle when it comes to beach days in the Algarve. For a more relaxed day at the beach, Praia do Ancao is perfect, it’s a beautiful long stretch of blue flag beach, with sun loungers and protected dunes. If a rural and wild beach is what you’re after then add Praia de Albandeira to your list, it’s a picturesque stretch of beach with few visitors and stunning white sands. 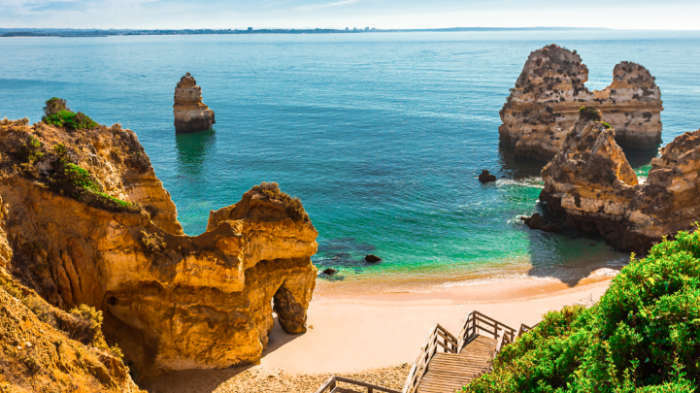 There are plenty of castles, ruins and museums to see in the Algarve region of Portugal, so make sure to plan ahead of time which ones you would like to visit. 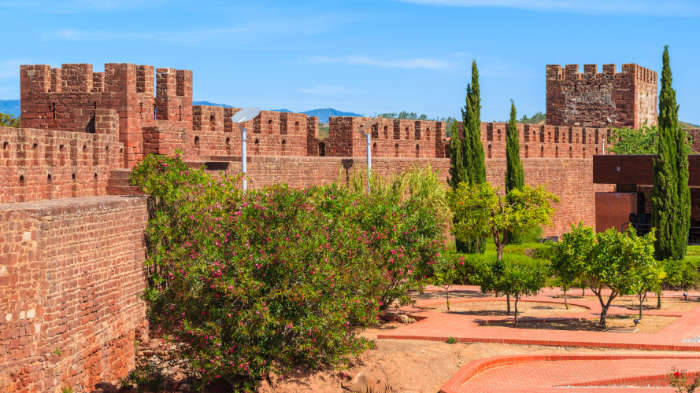 The Silves town is a must-visit as it’s packed full of history and charm, and home to Silves Castle. Some 100 miles of coastline brings with it lots of marine life, and both dolphins and whales can often be seen off the coast, so you’ll want to board a boat for some sea life watching. 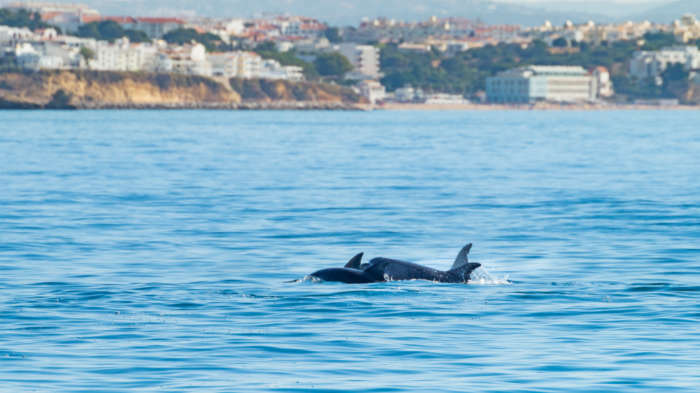 Head to Sagres there’s Mar Ilimitado where you can jump aboard with marine biologists to search the seas for whales, dolphins, sea turtles and so much more. If boating isn’t your bag, then you can head for some scuba diving at the dive school.